There was a time when the heated towel rails were considered to be a luxury item in the bathrooms but nowadays the towel radiators have become an essential component of the bathrooms as they provide the users with warm and cosy towels. These towel rails come with versatility in their energy sources for they are available as central heating towel rails, electric towel radiators and dual-energy towel rails which use both central heating system and electric heating for their functioning. 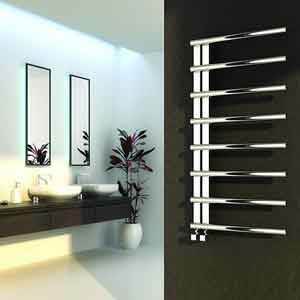 When it comes to installation style these towel radiators also offer diversity there with being floor standing towel radiators and wall mounted towel radiators. 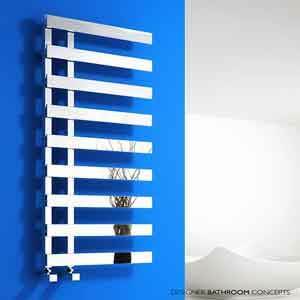 The towel radiators offered by Banyo are designed by the top leading radiator designers like Reina, Bisque, Carisa and Zehnder with the vast range of designs and colours to select from and the amazing thing is that these towel rails are provided at the best affordable prices.